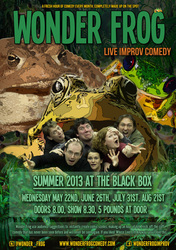 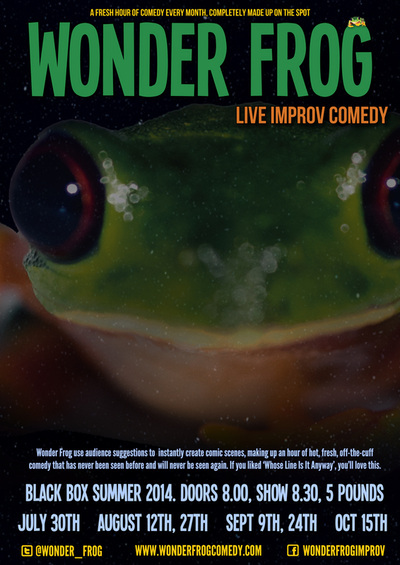 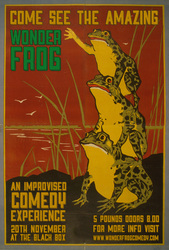 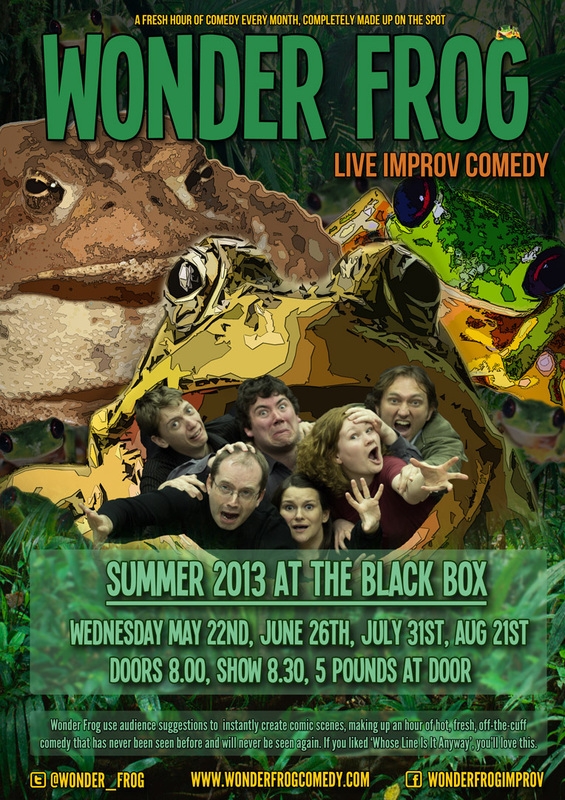 An hour of live improvised comedy from Wonder Frog. 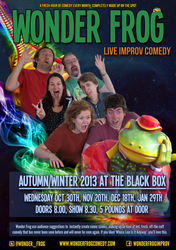 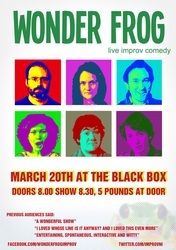 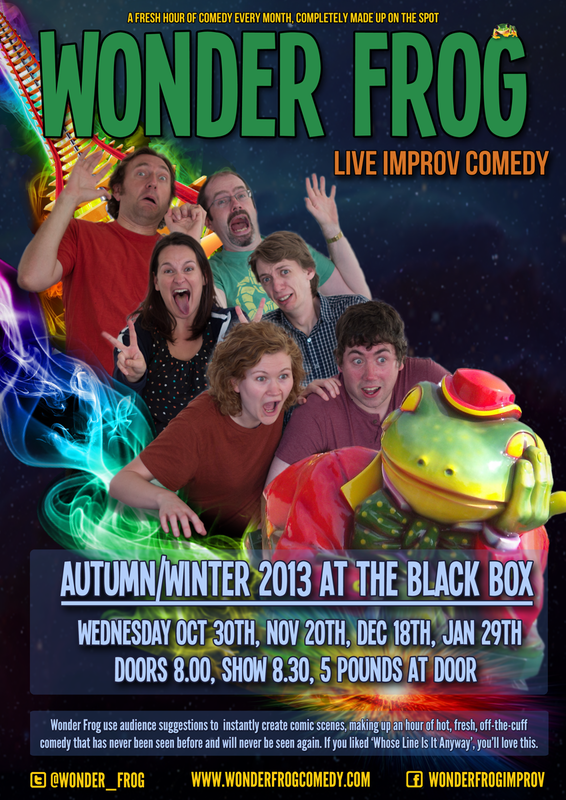 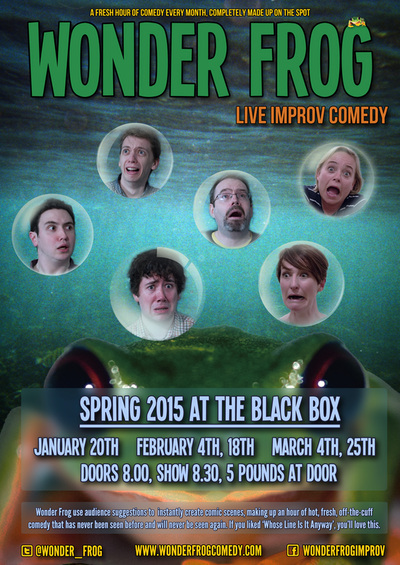 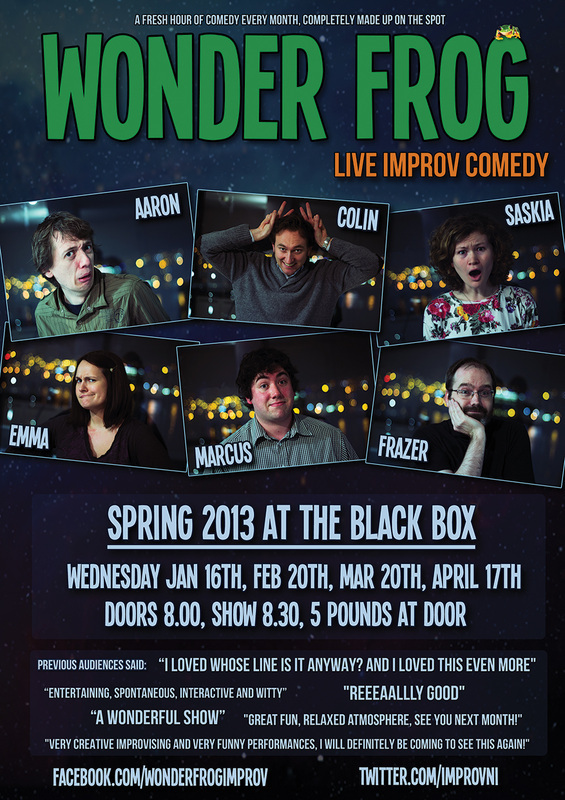 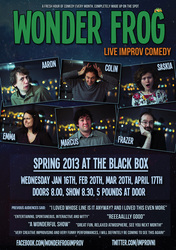 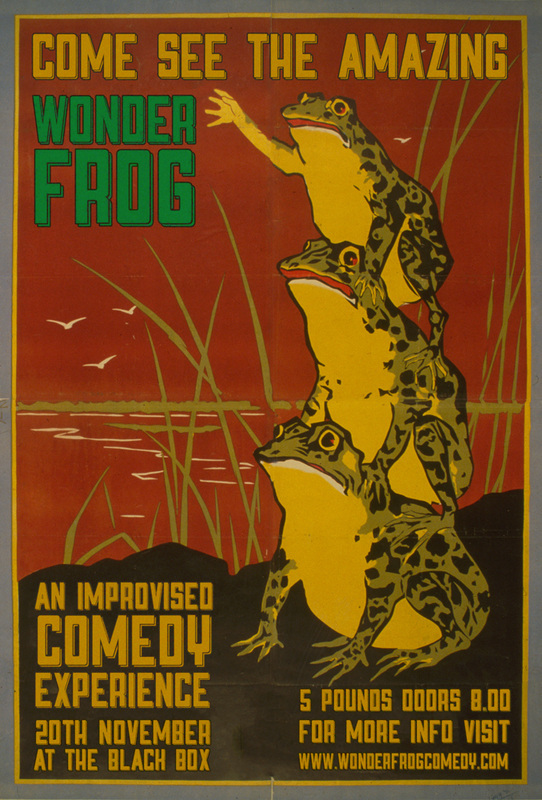 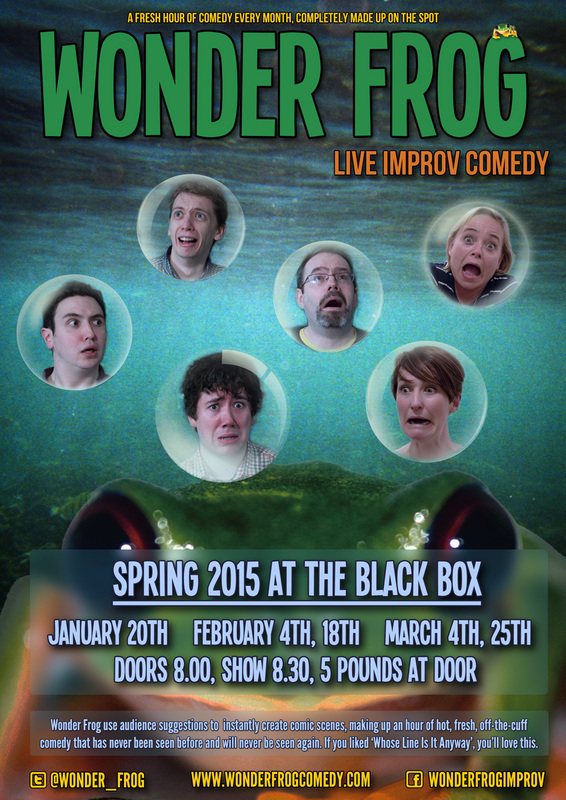 Wonder Frog are a 6-person improv comedy group based in Belfast, Northern Ireland. 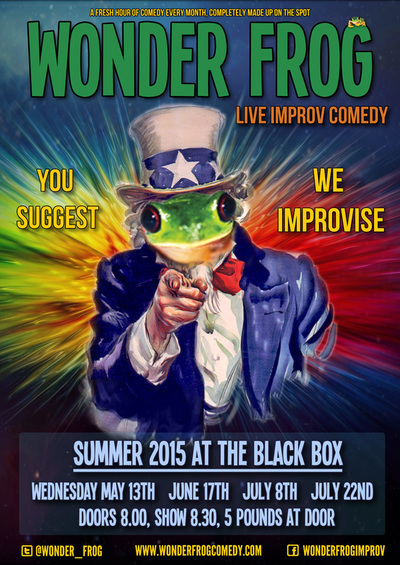 All our shows are improvised on the spot, and based upon suggestions from the audience, so every show is unique. 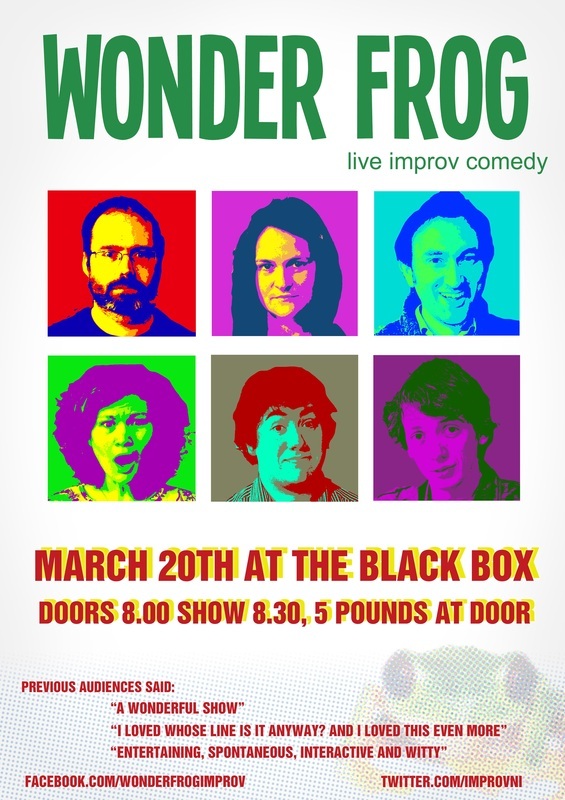 You can see our hour-long show once a month in the Black Box, plus we occasionally do smaller gigs at comedy nights and festivals here and there. Do you need entertainment for a private/corporate function? 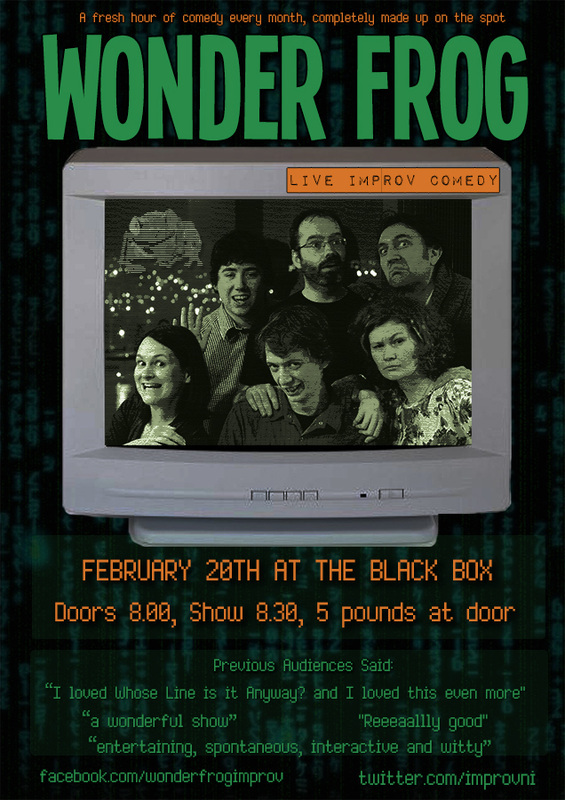 Get in touch via wonderfrogimprov@gmail.com and we can work something out!